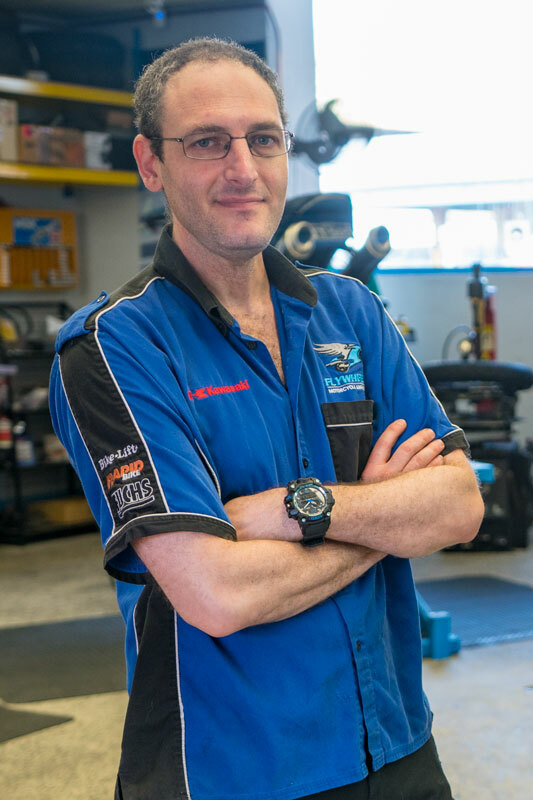 After finishing a Professional Writing degree in Canberra, Ron’s ambition was to become a motorcycle journalist working at Two Wheels magazine. But the rise of the internet was slowly putting an end to in-house positions in print media, so in the year 2000 he took this as a good opportunity to get his hands dirty on the technical side of motorbikes. His introduction to the industry began in 2000 at a small workshop in Artarmon, where he was part of a pit crew for a privateer team in the 6 Hour Endurance Race at Eastern Creek. 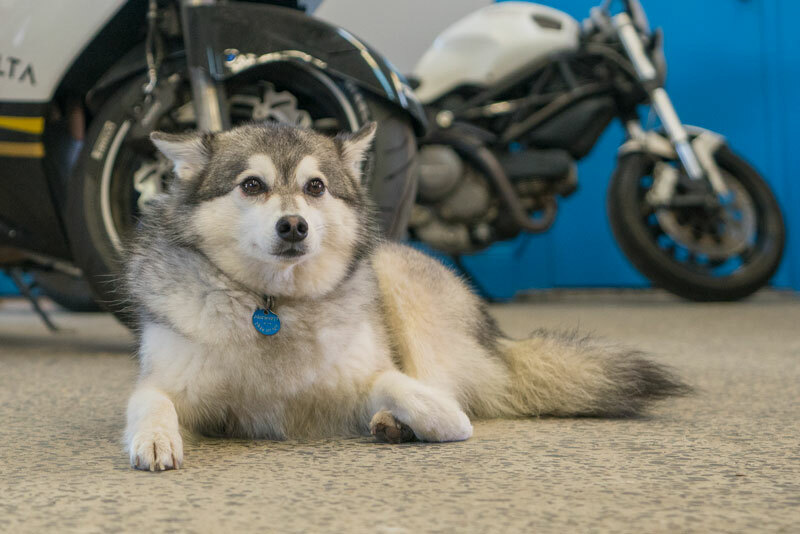 After half a year he moved to the city branch of Action Motorcycles where his repertoire expanded to accommodate larger capacity sportsbikes. Circumstances led him to help his father build a house in Bowral while he worked at Bowral Motorcycles. Finally, a fellow TAFE student introduced him to the manager of the world renowned Ducati specialist, Gowanlochs Motorcycle Engineering. This position gave him another opportunity to go back to the track, where he spent his weekends spannering for the second place winner in the Formula Extreme Pro-Twins class of 2003, Mike Soderland on an Aprilia RSV Mille. After three years concentrating on engine rebuilds and performance modifications, he completed his apprenticeship. 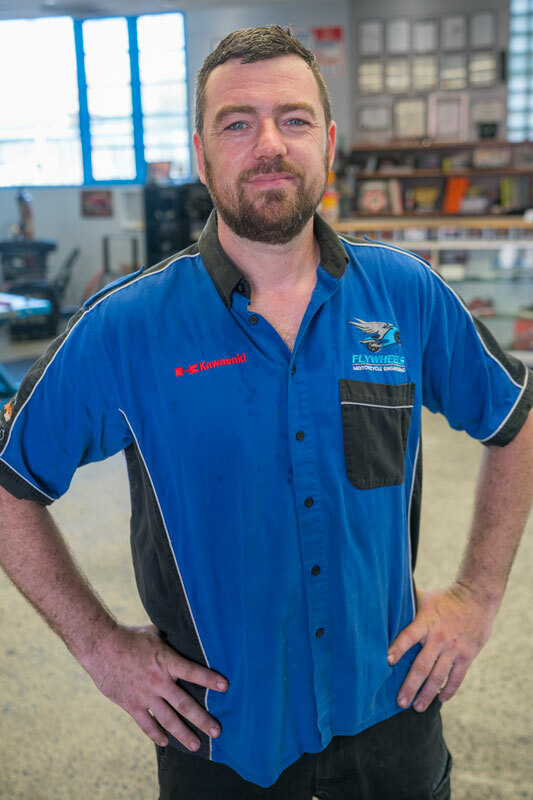 He graduated at the top of his class at TAFE and was among the top five in NSW, earning him a Trade Certificate with Distinction in the field of Light Automotive (Motorcycle Mechanic). 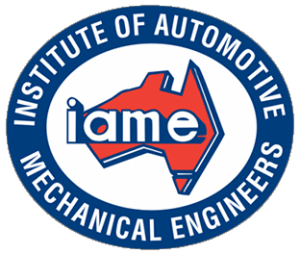 For his efforts, the Institute of Automotive Engineering presented him with a shield for outstanding achievement in 2004, He was also awarded for the “Most Outstanding Apprentice” by the Motor Vehicle Repair Industry Authority. Establishing Flywheels Motorcycles in 2005, the company quickly earned a reputation for being the place to take your bike to enhance its performance and appearance. For 2006, Ron was asked to return to TAFE in a teaching role, where his love of educating motorcycle apprentices began. 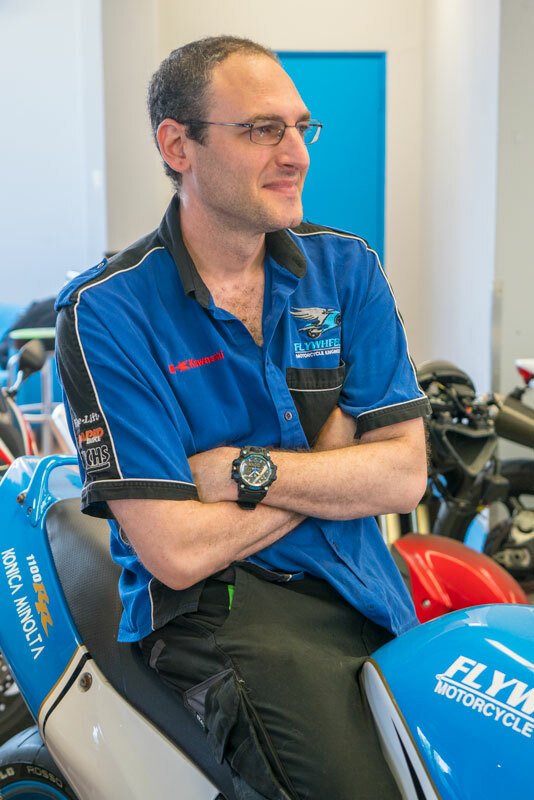 From 2006 to 2011, known as the “tech-time Guru” Ron had a permanent column in the popular bikey mag “Rapidbikes”, addressing readers’ questions and comments about everything related to motorbike maintenance and performance. And he often featured in the new model release test reviews alongside GP legends like Wayne Gardner and Kevin Magee. In 2007, the business grew to incorporate an exclusive Kawasaki dealership. Shortly after, in 2008, it was awarded the Motorcycle Dealer of the Year by the Motor Trades Authority. But in 2012, after the fallout of the global financial crisis, it was time to focus on his original passion of fixing bikes, making them better, quicker, and tricker. Ron refuses to stop learning and gaining qualifications. Currently doing well in an Advanced Diploma of Mechanical Engineering to be completed in 2020, he also aims to become a VSCCS certifier. Later he hopes to give back to the industry and return to his teaching position, guiding the next generation of Motorcycle Technicians. Melbourne born, Greg spent his post-school days as a chef’s apprentice and hospitality became his chosen career. It was a successful progression, becoming the general manager and licensee of such high-class outfits such as Gazebo Elizabeth Bay, Art Gallery NSW, Socal Neutral Bay and finally settling in at Mejico in the city. But as the years went by in this lucrative position, he became dissatisfied with the social life and the hours involved. Even though his attitude grew towards the idea that “money wasn’t everything”, he never thought he’d be able to enter the industry that surrounded his true love of motorcycles. Greg has always had a passion for bikes, always had bikes, always tinkered on bikes. So taking a “leap of faith” he went in search for a local business where he could connect with people in a positive way. Everyday he reminds himself how lucky he feels that he finally got to “chase his dream” of fixing and customising and just generally being around motorbikes. From spending his hospitality career teaching, Greg is now loving the process of learning. His short-term goals are to “master his craft” and to become “a better mechanic than most”, adopting such approaches as “do it once and do it properly” and “take your time and do it right”. “Making bikes run properly” is another desire for Greg, with the end game of becoming proficient in customisation and fabrication. Constantly joking that he will some day take over the Flywheels Empire, it seems that Greg Mcphee has finally found his forever home. He loves talking to people, even if it doesn’t involve bikes. So come in and say “G’day” to the man who probably loves your bike more than you do. Commonly known as a “mini-Husky”, Cody is actually a new breed called the Alaskan Klee Kai. Born in 2015, you’ll often find him curled up in his bed beside the reception counter. He’s very friendly, affectionate, and extremely intelligent. If he sees you, he’ll probably go in for a pat. People come in just to see him and he loves the attention, so feel free to pop around to meet the miniature “wolf-wannabe”. And if you bring some treats, he’ll be your best mate.